With so many state treasuries running short and millions of Americans swelling the uninsured's ranks, Democrats knew most states would jump at health reform's massive federal cash infusion. That has helped create what HHS Secretary Kathleen Sebelius calls a "parallel universe," in which many of the same governors who are suing to overturn the law are also quietly accepting the money that comes with it. "For lots of governors," she tells Time, "they have resources to provide for their constituents that they wouldn't have otherwise." And it's a lot of money. Washington will pick up most of the tab for the 16 million people who will be added to the Medicaid rolls in 2014, paying $434 billion in additional program expenditures to the states over 10 years. Some $10 billion is available to states now to temporarily insure people with pre-existing conditions and early retirees. And an additional $1 billion is being doled out to help states set up new insurance marketplaces and toughen their oversight of insurers. These grants are available only to states that apply for them, and even ardent critics of health reform don't seem able to resist. Bob McDonnell, the Republican governor of Virginia, which is suing the federal government and whose legislature voted in March to exempt the state from the individual mandate, has accepted about $2 million in federal funds to design a new health insurance marketplace and audit health insurers that dramatically increase premiums. "States are really broke," said Karen Pollitz, a high-level HHS official, at a recent public forum. "If you're offering a million here, a million there, pretty soon they're like, Well, yeah, I could really use that." But they haven't all jumped. In August, then governor of Minnesota Tim Pawlenty issued an executive order prohibiting state agencies from applying for federal grants like those that have gone to nearly every other state. "I think this is one of the worst pieces of legislation in the modern history of the country," Pawlenty, who is running for the 2012 GOP presidential nomination, tells Time. "And I'm going to do what I can to defeat it and mitigate its direction in my state." 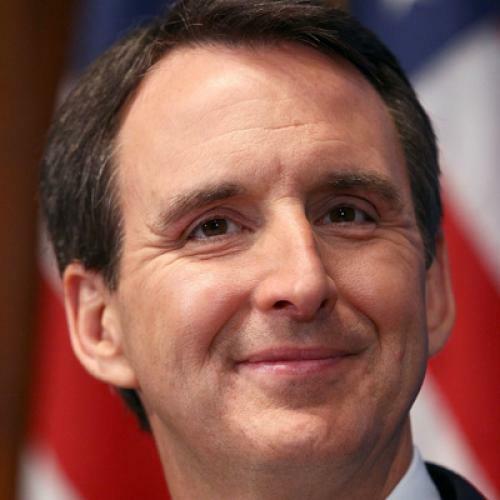 The Minnesota Chamber of Commerce opposed Pawlenty's executive order, as did hospital groups in the state, and in late October, Minnesota quietly opted into a program to insure some retired state workers.